It's all about the coming together and enjoying one another, it's that time when we wind down slowly from our summer vacations and get ready for the fall and winter and Holiday season! You know, it's very interesting to see all different types of partying, every man to himself, every family to themselves, and that's great and perfectly fine, as long that it's a happy get together and everyone is having a great time. I remember when i was younger and mom used to take us to the beach to picnic out for lunch or dinner, back then there wasn't too many great options for replacing the real china dishes and that was a shame, because it was very uncomfortable serving the food and even worse trying to enjoy it while eating it, there were the paper plates which got wet and started sagging and dripping, it was a mess. Today when i go out with my family i always wonder why did everything have to be so complicated then, it is so enjoyable to sit out and relax, you take along these disposable dinnerware, servingware, tumblers, cutlery, you name it and it is there. So, be prepared, when heading out to party outdoors or even indoors, you never want to end a party by begging people to help you clean and wash the dishes, you want to get the big garbage can or the recycle bin and throw in the recyclable plates and disposable partyware. 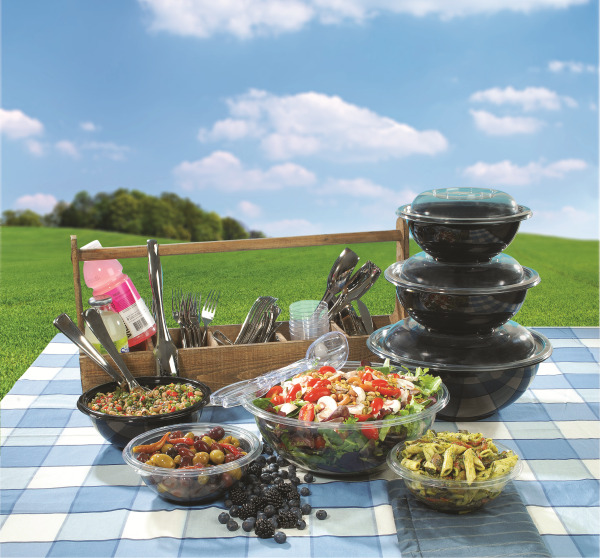 With so many options and colors to choose from, Fineline Settings has truly become the leader in the disposable and recyclable dinnerware manufacturer and provider to the food service and catering industry! Check them out at www.finelinesettings.com for so many ways you should celebrate in style and enjoy every minute of your party and finish the party with a great success! As always, Happy and Safe Partying!